Wild garlic (Allium vineale, also called wild garlic, onion grass, crow garlic or stag's garlic) is one of the first feral foods available in Spring, when the weather still cold. These alliums are very easy to spot as it stands out in grounds that are still brown/dry from winter, pull a leaf and sniff at it, if you smell the strong garlicky odor, you just found yourself the close relative to the shop bought garlic. Years back when I was a novice to foraging edible wild plants, wild garlic was one of the first few that I had the confidence to bring home to our plate, use only tender young leaves as they merge out of soil in early spring to cook , these alliums grow very fast and within days the green will become tough and too fibrous to be eaten. The bulbs, though can be used for cooking at any stage of the growing. I have used it as a substitute to shallot or garlic in most cooking and find the taste to be very agreeable. 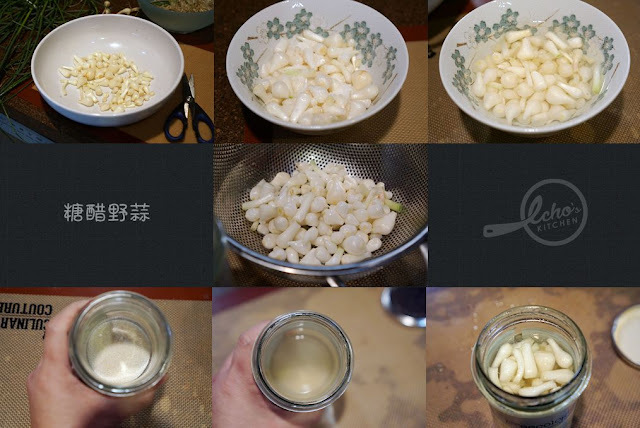 It is especially delicious when pickled, taste like Pickled leeks （罐头藠头）that I used to eat as a kid. 1. 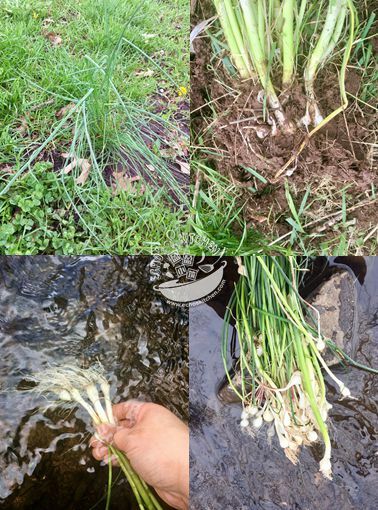 Peel, cut and clean the wild garlic, rinse until no mud residue on the bulbs and it is thoroughly cleaned. 2. Sprinkle salt over the bulbs and mix well, wait for 20-30 minutes for the wild garlic to release some juice. Rinse the bulbs with clean water to remove the bitter juice and salt. 3. Bring 2 cups of water to rolling boil, pour the water over garlic bulbs, wait for 1 minute before draining it. You can also blanch the garlic for 30 seconds in boiling water. Drained and keep aside. 4. Mix sugar, vinegar and 2 tbsp of drinking water in a mason jar, cover with lid and shake until sugar completely dissolved. 5. Place the wild garlic bulbs in the mixture and cover with lid, store in cold, dry place for 1 month before serving. 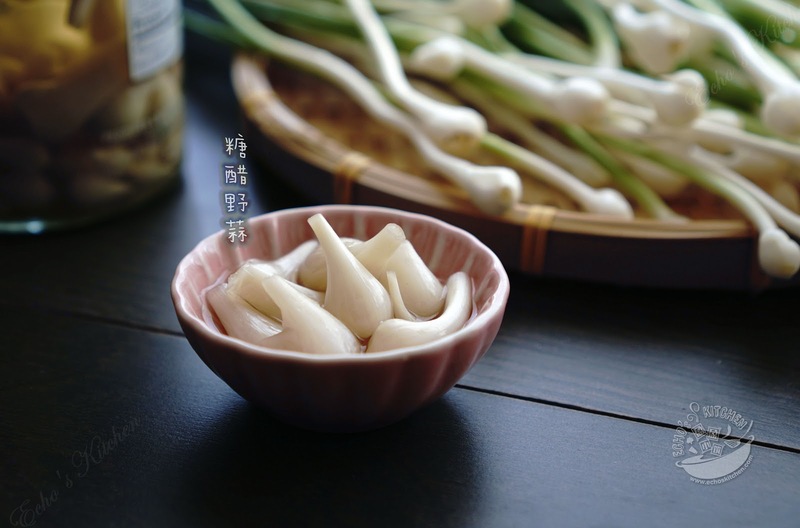 Once pickled, the wild garlic can be stored in refrigerator up to 1 month.